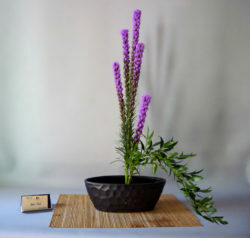 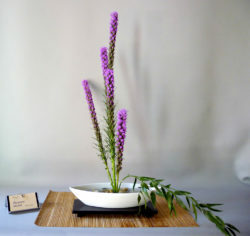 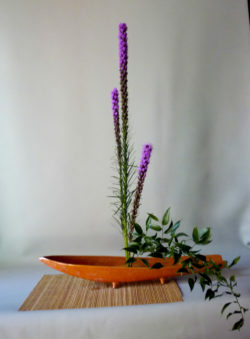 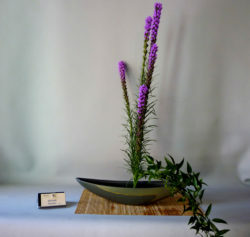 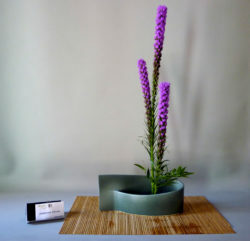 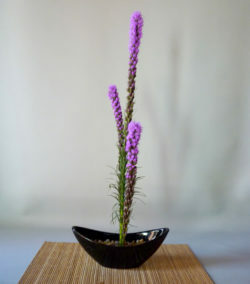 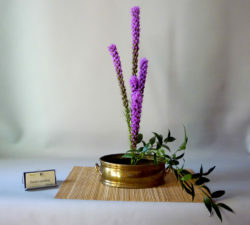 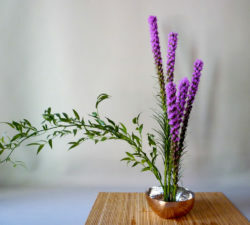 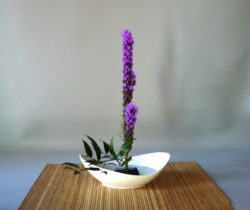 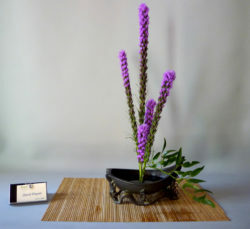 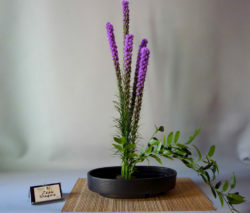 Boat arrangements have been used for ikebana since ancient times. They are a most interesting variation of a shoka arrangement which can portray an outgoing boat (debune), an incoming boat (iribune), or a boat at anchor (tomaribune). 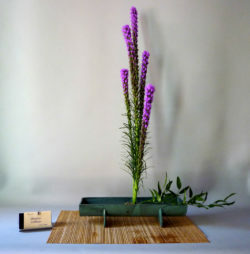 Our sensei for the day was Minnette Siedenburg who has been studying Ikenobo ikebana for over 20 years, taking lessons from Kitty Hames, Sumiye Nishida, Norma Caston and David Payne…our most celebrated instructors. 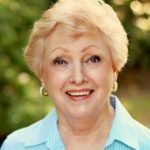 In addition to teaching workshops, Minnette is also currently serving as president of the Ikebana International Sun Cities Chapter #167. 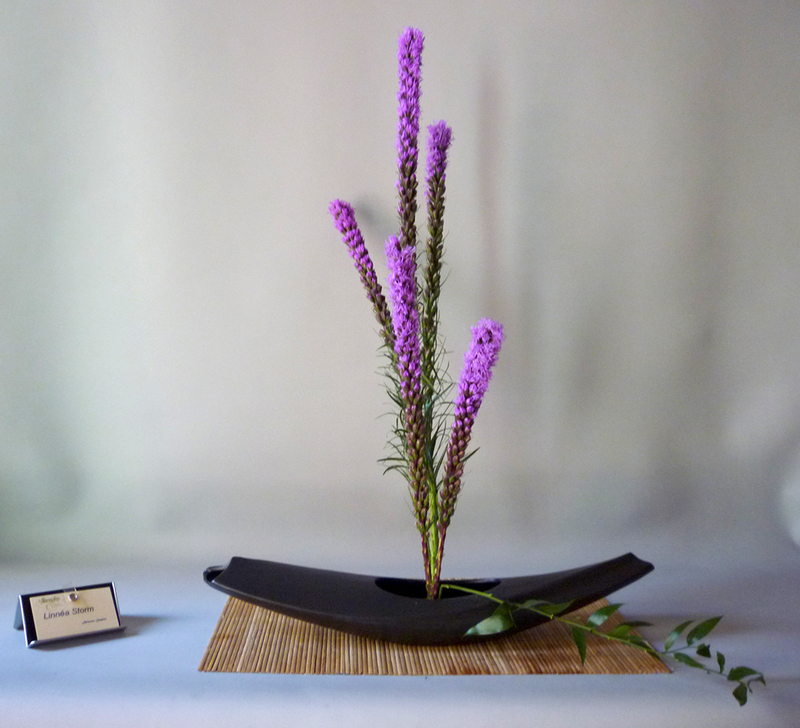 Minnette lead us carefully through all three boat variations. 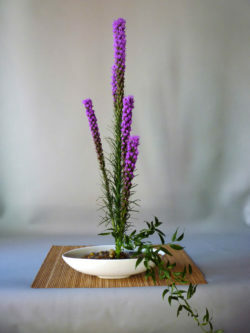 Then each student chose which type of arrangement to do. 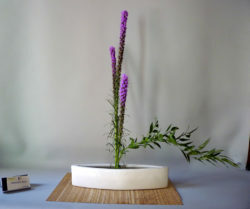 Whether one chose debune, iribune, or tomaribune, after Minnette’s trained eye critiqued the arrangement, everyone went home with perfect “ship shape” creation.